Absolutely loving the Foxy Friends stamp set. 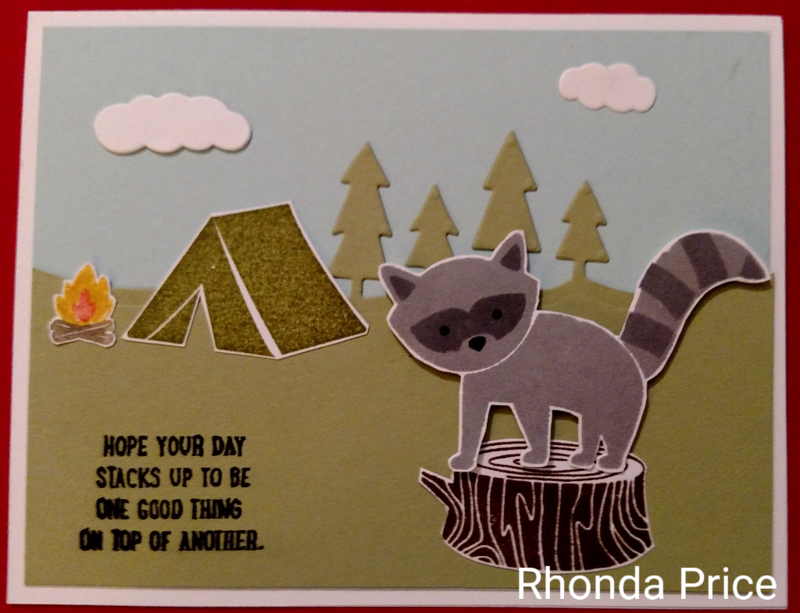 This set makes so many cute animals and the tree stamps and the stump stamp are great for that finishing touch on a card. Of course, I didn't use them on this card. I used the Always an Adventure stamp set. I love the idea of this little guy crashing someone's camp site. Leave me a comment and let me know what you think.